A power of attorney for health care can give you piece of mind that appropriate medical and mental health decisions will be made for you if you're unable to make these decisions yourself. In North Carolina, the person appointed to act in your place can be granted as broad or limited decision-making authority as you desire. The process for executing a POA is governed by state law, which also describes the minimum qualifications necessary for those appointed to serve on your behalf. North Carolina allows you to appoint someone to make routine or major medical decisions for you in the event that you are incapable of making these decisions yourself. 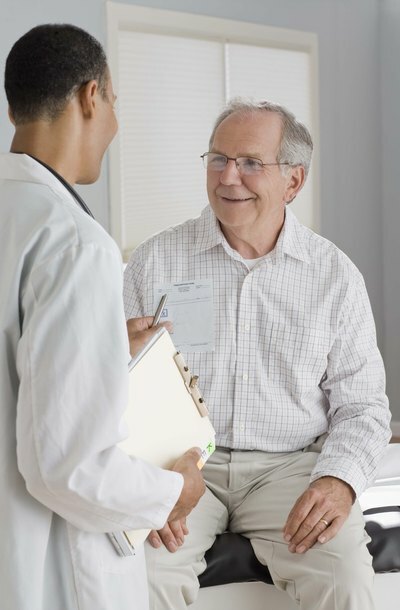 This appointment is done through a power of attorney for health care, a document that delegates the authority to consent or refuse care associated with your physical and mental health. You may limit the scope of the authority you delegate to your agent or allow him to make all decisions that may be legally made by you. The document becomes effective upon a written determination by your physician, or psychologist, that you lack sufficient mental capacity to make informed decisions regarding your medical care. North Carolina allows flexibility in the extent of authority you grant to your agent in the power of attorney for health care. If you would like to withhold any specific decision-making power, this must be noted in the document. Typical medical decisions often subject to a POA include determining which facility and health care provider to use, consenting to any medical treatments or procedures and deciding whether to continue artificial life-sustaining measures. North Carolina also allows an agent to make mental health-related decisions, so the agent's authority also might include the power to select therapists and consent to a particular medication. You may not authorize your agent to agree to any treatment that is against North Carolina law. The agent is protected from criminal, civil or other disciplinary action provided he acts in good faith under the terms of the POA. Certain requirements must be observed for a health care power of attorney to be valid in North Carolina. State law requires you to be at least 18 years old and mentally competent when creating the document. The person you select as agent must meet the same requirements, and may not be employed by your health care provider. The POA must be in writing and signed in the presence of two witnesses and a notary. The witnesses cannot be related to you, stand to inherit from your estate or be employees of the facility where you are currently being treated. Volunteers of the health care provider may serve as witnesses, and employees of the health care institution may serve as notaries. A health care POA remains effective until your death, unless revoked. If the POA covers decisions that take effect upon death, such as making anatomical gifts, performing autopsies or the handling of remains, your death will not revoke these powers. In North Carolina, you must be competent to make health decisions on your own to revoke, but the revocation does not need to be in writing; it can be accomplished verbally by expressing your intent to revoke. The revocation request must be communicated to your agent and the attending physician to be effective. In North Carolina, a POA is automatically revoked if your spouse is named as agent and you subsequently obtain a divorce. If you have indicated an alternate or successor agent in the document, that person will take the place of your former spouse, and the POA will not be revoked. A power of attorney is a legal document that authorizes another person to act on your behalf in certain specified situations. State law governs the creation and validity of power of attorney forms. These forms oversee the agency relationship between the principal, who is the person who created the power of attorney, and the agent or attorney-in-fact, who is the person receiving authority to do something in the power of attorney. Powers of attorney can authorize a variety of decision-making powers -- such as financial or health care decisions or decisions that affect your children -- in the event that you become unable to make such decisions.